Buick Century is the model name used by the Buick division of General Motors for a line of upscale performance cars from 1936 to 1942 and 1954 to 1958, and from 1973 to 2005 for a mid-size car. The model name Century came about when Buick was designing its first production automobile capable of reaching a speed of 100 mph. The division needed to come up with a name. One of the Buick executives had returned from a recent trip to the British isles and told the other executives that the British referred to going 100 mph as "doing the century". The executives liked the Century name and it stuck. The Century was sold as the Buick Regal in Japan, as Toyota owns the right to the name Century In 1954, Buick reintroduced the Century using the same formula of mating the smaller, lighter Buick Special body to its largest and most powerful 322 cubic inch V8 engine with the intent of giving Buick a performance vehicle. Included in the model lineup during this period was a station wagon model, a body style that had been unavailable during the Century's first production period of 1936 to 1942. 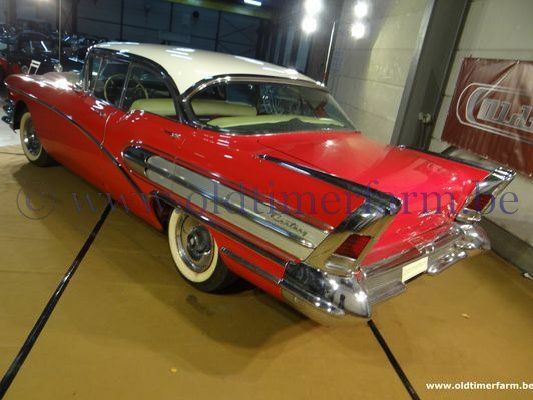 Introduced in the middle of the 1955 model year the 4-door Buick Century Riviera along with the 4-door Special Riviera and the 4-door Oldsmobile 98 Holiday and 4-door 88 Holiday, were the first 4-door hardtops ever produced. In 1955, the California Highway Patrol placed a large fleet order for Century 2-door sedans, a body style unavailable to the general public. It combined the Special 2-door sedan body shell with Century powertrain and trim. Broderick Crawford was shown driving a 2-door Century sedan during the first season of his popular syndicated TV series "Highway Patrol". (In later seasons he'd drive a four-door Century, like his real life counterparts in the California Highway Patrol.) Power brakes were optional. Tubeless tires were new. 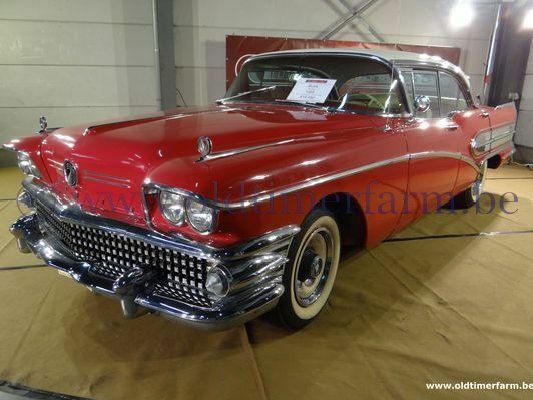 The Century remained Buick's performance line, with engine power rising from 200 (SAE gross) in 1954, to 236 in 1955, to 255 in 1956, and topping out at 300 from a bored-out 364 cu in (6.0 L) engine in 1957-58, the last model years for the full sized Century line. In 1956 the Century's base price was $2,963. Power windows were standard in the convertible. A padded safety dash became optional. Because the Century was considered the senior "small Buick", the model received GM's only hardtop station wagon, the Century Caballero, from 1957 through 1958. The Caballero's expensive tooling, plus its limited sales appeal, caused GM to abandon the hardtop station wagon body style going into its planned 1959 divisional-wide new design program. For 1959, Buick renamed the Century the Invicta.